One of the great things about preschool schedule is that it is so flexible! You can manipulate the schedule to fit it in during your morning, afternoons, or even before bed. Whatever works best for you and your family. 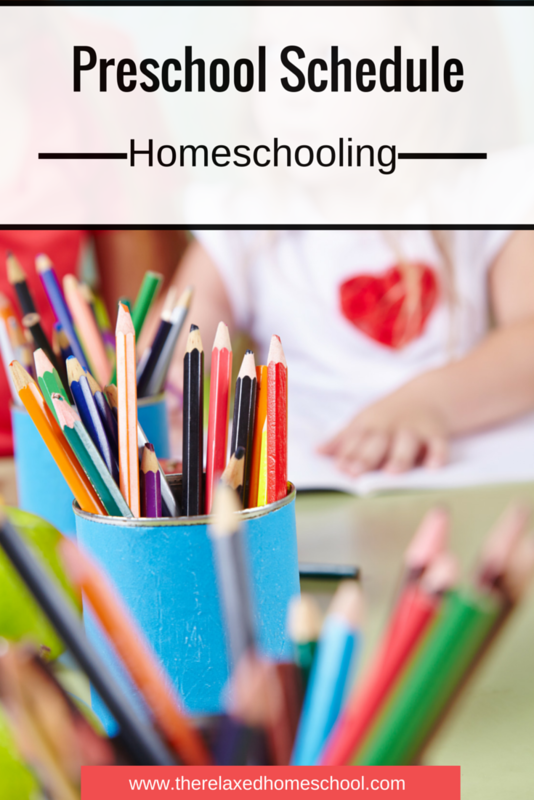 For the preschool years you are only going to be homeschooling for about an 15-30 minutes a day. Your little one’s attention span is short at this age. You can start teaching things like shapes, colors, ABC’s, counting, and the 5 senses. 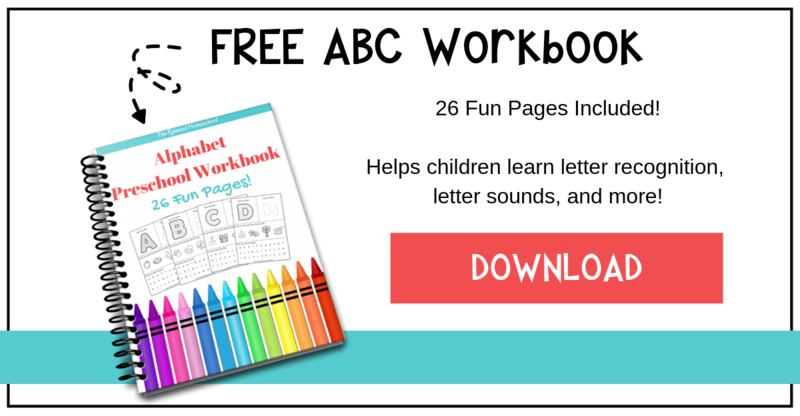 Short colorful worksheets can help develop fine motor skills and help your child prepare for more formal lessons in the future. 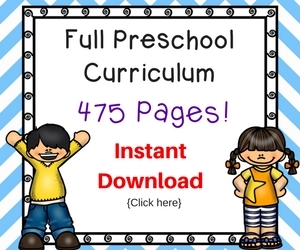 You can check out our own Preschool Curriculum Pack here. 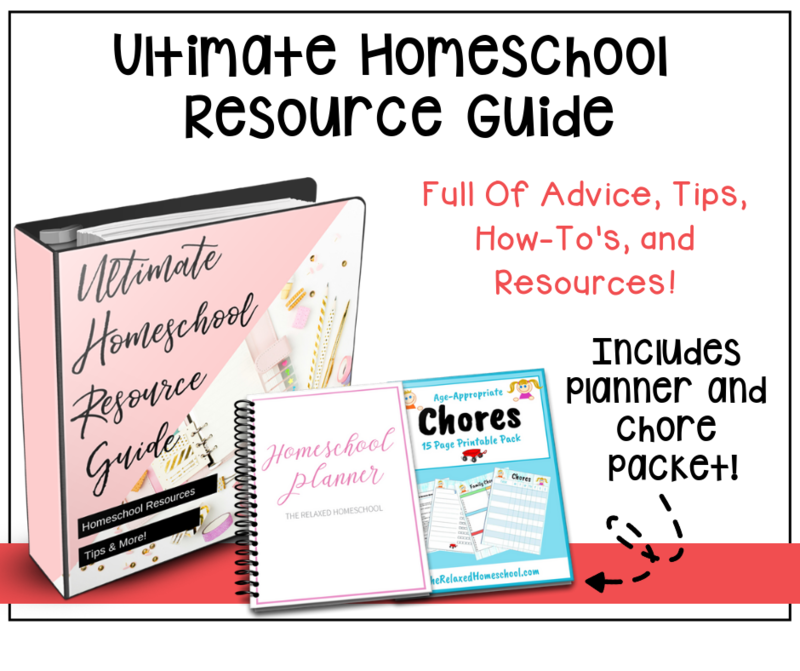 Besides teaching the basics you are going to want to add in some fun crafts and activities. I find these sorts of activities to go over better after lunch or snack time. Their bellies are full and they are usually pretty content. This helps them to focus on creativity! Pull out some blank paper and some finger paint and let them have at it! There is no write or wrong here. Just that they are having fun and exploring their creative side. Bedtime is always a great time for reading! I like to read 2 books for bedtime. It helps them to wind down and relax. It is also a great time for their imaginations to kick in which allows them to really get absorbed into the story. As always each child will be different, but for preschool your schedule can be very relaxed! Cover some of the basics, get a little creative, and read to them! It really is a fun time for both you and your child! 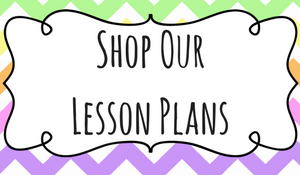 Be sure to check out our Preschool Pinterest Board for some great preschool ideas! 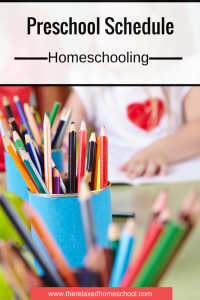 Follow The Relaxed Homeschool’s board Preschool on Pinterest. Is it a good idea to work through a Preschool level curriculum with my 3 yr old or will it be to much to soon? With out any effort she has picked up a lot (or what I think is a lot). She knows her alphabet, can recognize more than half and knows the sounds to about 30%. She also knows basic shapes, colors and can count to 20 on her own. She can identify her first name, and spell it. I recently realized that she is began to write letters and numbers and draw shapes. She has picked up on all of this with out any real effort on my part to teach her. Do you think she is ready to be introduced to a more formal approach like you discuss it this post?